Andrei Derkach, a Ukrainian member of parliament has demanded a criminal investigation into "illegal interference" by President Petro Poroshenko's government in the 2016 US Presidential election, claiming the interference has "seriously damaged Ukrainian-American relations." In a letter to Ukraine's prosecutor general, the independent MP requested authorities launch a pretrial investigation into potential meddling in the US election "by a criminal organization" comprised of senior members of the country's National Anti-Corruption Bureau, government officials, and other public figures. 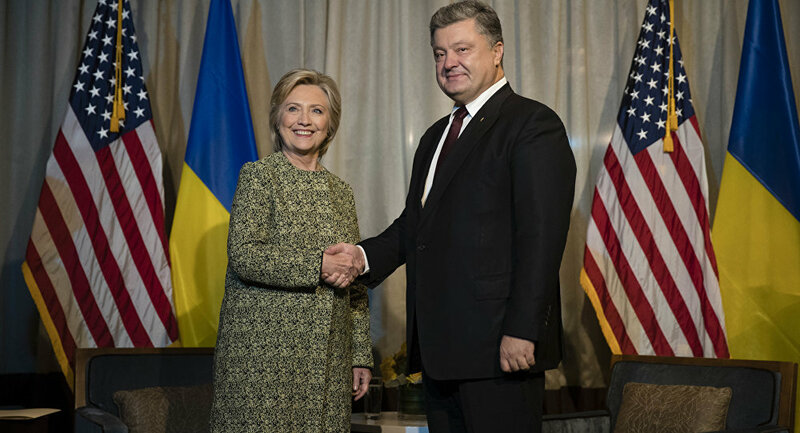 Claims of Ukrainian meddling in the November 2016 vote are nothing new — in January, website Politico published an article suggesting senior Ukrainian officials had interfered in the election in aid of Hillary Clinton's presidential bid, although it gained virtually no traction in the mainstream media. The Poroshenko administration was charged with meddling in a number of ways, including erroneously implicating one of President Donald Trump's aide in a corruption scheme, and signing a US$50,000-a-month contract with a Republican lobbying firm to set up meetings with government officials in an effort to "strengthen US-Ukrainian relations." ​Nonetheless, the allegations gained new traction when Trump referenced them on Twitter July 25 — and Derkach has added further dimensions to the potential conspiracy, suggesting Ukrainian officials' exposure of payments in excess of US$12 million by Ukraine's deposed President Viktor Yanukovych to Trump campaign manager Paul Manafort was part of the smear plot. Manafort previously worked for Yanukovych's Party of Regions until the leader was overthrown in the violent 2014 Maidan coup — after the ex-President fled the country, officials claimed to have discovered extensive lists of payments from the Party to various individuals, Manafort being among them. However, his signature does not appear anywhere in the ledgers, the documents have not been verified, and he denies receiving any illegal disbursements. In his request to the prosecutor general, Derkach claimed the meddling by Ukrainian officials created the impression Kiev was an "unreliable and harmful partner" to Washington, resulted in a temporary freeze in contacts between the two and led to a reduction in US financial assistance to Ukraine. "Only a transparent and thorough investigation into the unlawful interference of Ukrainian officials with the US election campaign can restore the trust of our strategic partner," Derkach wrote. Relations between the United States and Ukraine reached a low point shortly after Trump's inauguration, but have shown signs of recovery — the Presidents met in the Oval Office in June, and Kurt Volker, Washington's special envoy to peace talks over the conflict in Eastern Ukraine between the Ukrainian military and pro-Russia separatists, floated the possibility Washington could overturn a ban on providing lethal weapons to Ukraine, in place since the conflict began in 2014. Ukrainian officials have confirmed a criminal investigation has been opened, although their inquiry is said to be instead focused on whether Ukrainian authorities had defamed Manafort by publicizing his possible connection to the Yanukovych payments, therefore "creating the impression" the country had illegally interfered in US elections. 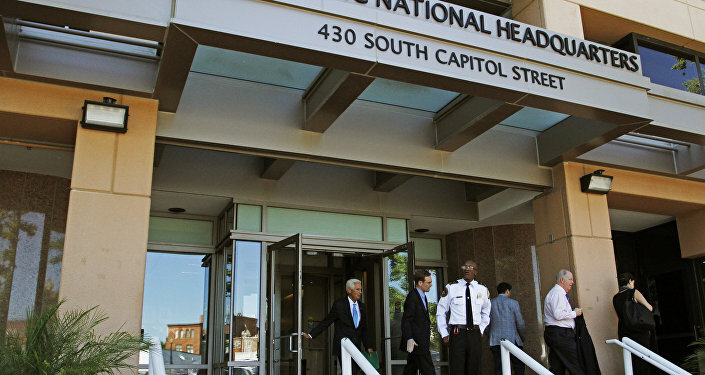 It's not merely in Ukraine where the allegations are being scrutinized — a US watchdog has filed a complaint with the Federal Election Commission alleging the DNC violated election rules by colluding with Ukrainian government officials to compile information on Trump. Senate judiciary committee Chairman Chuck Grassley has also asked Deputy Attorney General Rod Rosenstein to examine whether Alexandra Chalupa, a former DNC consultant, violated laws governing work with foreign governments by failing to register her cooperation with the Ukrainian Embassy in Washington. Chalupa is alleged to have told Ukrainian Embassy officials that if enough information on Manafort or Trump's involvement with Russia could be fabricated, Congress would hold a hearing "by September" — she also met House Democrat Marcy Kaptur's staffers to discuss a Congressional investigation. Circulation of false material on Trump's fictional Russian connections would, she said, "not only benefit" the Clinton campaign, the Ukrainian government too. Ukrainian authorities are also probing allegations Ukrainian missile technology was transferred to North Korea. Classified assessments by US intelligence agencies and a study by Michael Elleman, senior fellow for missile defense with the International Institute for Strategic Studies, suggest Pyongyang may be using modified RD-250 high-performance liquid-propellant engines for its latest missiles, which were developed by state aerospace firm Yuzhmash.